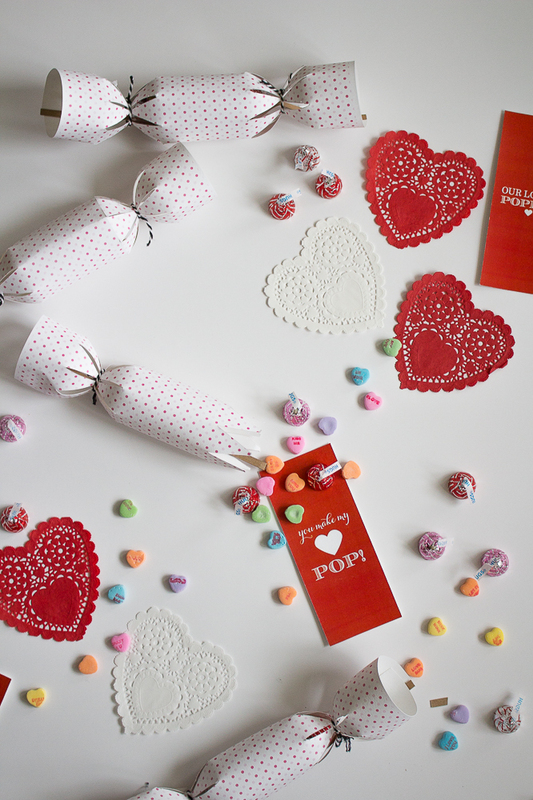 You Make Our Hearts Pop! 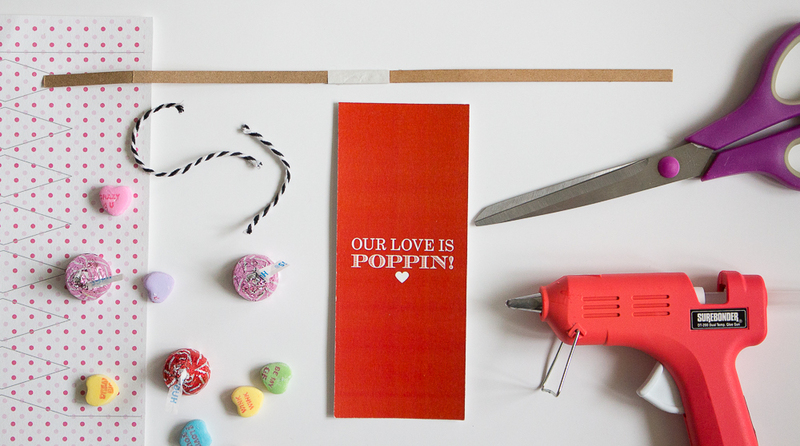 Valentines Day is oh so sweet! A day to show all of our lovies in our lives that we want to squeeze them (people and pets included!) We should celebrate LOVE more often! 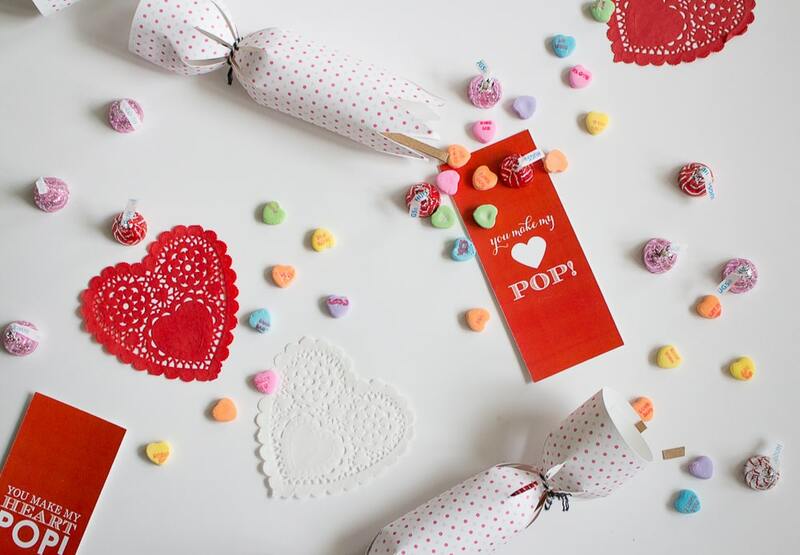 In case you like this day as much as us, candies, hand-written love notes and hearts galore, we’ve got the perfect DIY project for you: Valentine’s Day Poppers! 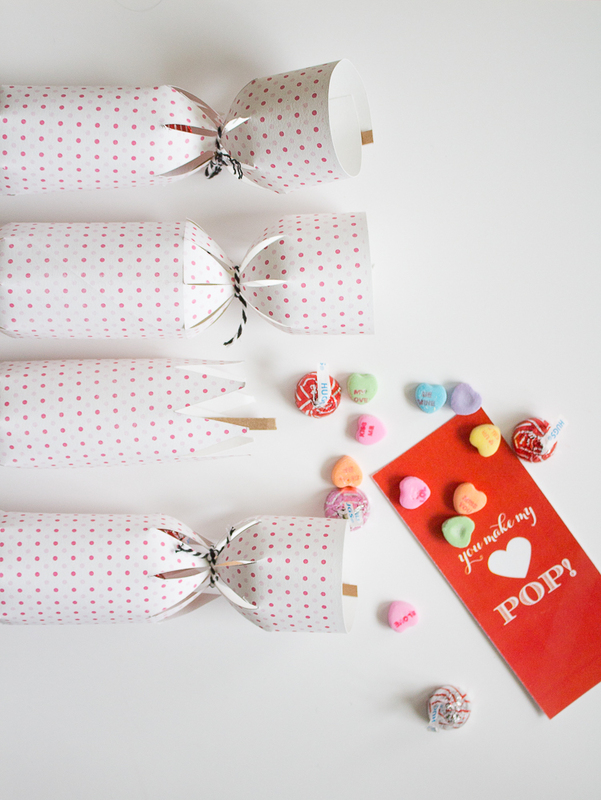 Formally known as Christmas Crackers, we have some sweet Valentine’s Day versions for your DIY delight! Instructions and ideas are included below. colored or patterned cardstock with two columns cut into 7 diamonds 1cm to the brim, one edge being a line with half diamonds, the middle point meeting at each row. cardboard “snap” piece (a 1cm thick cardboard with tissue paper wrapped around the center to make a “pop” noise when pulled a part. We buy them from this snap source. Downloads for the Poppers and the Red Bands. Incision cut diamonds and edges. Hot clue snap to flat edge of popper sheet (not cut into half diamond edges). Roll sheet into a cylindrical funnel. Secure closed on flat edge. Grip one side of diamond slits and twist like a candy wrapper, secure shut with ribbon (Tip: make sure ribbon is long enough, and cut off any excess for shorter cuts can damage or break fragile diamonds). Slide candies and other goods into popper using open end. Securely fasten with another piece of ribbon. *Note: Make sure when holding the popper that you securely hold the pinched bit that’s tied when going to pull them a part. This is what ensures that the snap will *pop* when they’re broken.